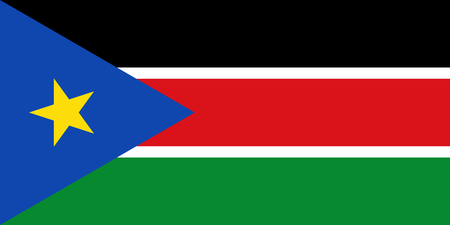 The world's newest nation, South Sudan was carved out of Sudan in 2011 in an effort to bring the most protracted civil war in Africa to a conclusion. Bordered by the Democratic Republic of Congo, the Central African Republic, Uganda, Kenya, Ethiopia and of course Sudan, the new nation is roughly the size of France (the pre-split Sudan was the largest country in Africa), and contains more than five dozen distinct ethnic groups. South Sudan hopes to capitalize on its petroleum reserves, though ongoing tensions with Sudan, internal political divisions and the highly unpredictable nature of the world oil market have frustrated most of those plans so far, and the economic future of the new nation is murky. It therefore seems likely that South Sudan will at least for the time being continue to be one of the most impoverished and least developed parts of the world, though it may attract the occasional intrepid traveler looking to see some of Africa's iconic wildlife species and to experience isolated traditional cultures. Such travelers, however, will not be able to play golf in South Sudan, for there is not a single hole anywhere in the country, nor does history mention there ever having been one. For those in the capital city of Juba, the nearest courses are hundreds of miles away in Uganda.